Pedestrian accidents are common. It is almost inevitable in every city. California records a higher percentage of occurrences of pedestrian accidents even more than the national average. After an accident, you should find a way to gain enough information about the event; the driver’s license number, vehicle license plate, vehicle insurance number, and names of the witnesses (or at least one of them). With these data, you can sue the culprits and gain your full settlement. An experienced pedestrian lawyer can help you. 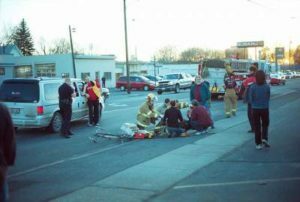 An experienced pedestrian lawyer should be well versed in the dynamics of pedestrian accident cases and must have had several successes with such cases. A lawyer knows how to investigate the case and peg it on the insurance company (who might be out to try to reduce their liability). Come over to us at Rawa Law Group and let us help you. We have several decades of experience in this practice and our pedestrian attorneys are only specialized in this aspect of the law. Our services include a free consultation – implying no charges until we win your case and flexible appointment hours to suit your schedule. We are also available to meet our clients at their house or hospital depending on the severity of their case. Relentless and tireless advocacy for the injured is our watchword and that is what has placed us in a league of our own in the industry. Hire an experienced pedestrian lawyer Westminster, CA from us today.